Quote by Bernard Poolman @ Day 24: MY MIND IS BLOWING UP! But first, we’ll continue with the connection/relationship and merging/condensing of the ‘space’ within and between the Eve/Female and Adam/Male singularity giving both the EXPERIENCE of oneness and equality, within and as the narrowing/condensing/merging of the ‘space’ within and between themselves and their molecules into infinity which within and as that one point/position within and as the Substance of Existence as a whole: manifested the belief of unification, when the extent of separation of themselves, from themselves, each other and their molecules into infinity – was in no way seen/realised/understood. As the Adam/Male singularity and Eve/Female singularity remained within and as that one merged/condensed position/location within existence, they together for a moment Experienced the ‘Oneness’ of themselves in and as the One Aura/Presence manifestation of all their Aura/Presence molecules into infinity condensed/merged together, and Experienced the ‘Equality’ of themselves in and as the One Aura/Presence manifestation as both experienced the condensed/merged movements/ripples/reverberations/resonances of and as their molecules into infinity. However, in and as this One position/location within Existence in and as their energy-experience of oneness and equality as Energy: the Adam/Male and Eve/Female singularities were at a standstill, remaining for a moment in the experience of themselves as Energy together. But within and as their separation from themselves as Energy in and as the existence of themselves as the Devil as the actual process of the transforming/consuming of substance into energy, did not see/realise/understand the dependency of the constant, continuous need/requirement of movement – ‘physical movement’ forward into and as existence/substance. So that as they move forward into existence/substance, more friction/conflict is manifested within and as both their Adam/Male existence as the Devil existence within them both, consume substance to transform into energy – within the without of existence as substance, and the within as their beingness of and as substance; so that as the movement forward into the depths of existence/substance for their reward as Energy Possession/Experience, they equally as one move inward as energy – into the depths of their beingness. Thus, the Adam/Male and Eve/Female singularity – within that one location/position within existence, with no movement forward or inward into existence/substance and their beingness/substance to in and as that movement forward and inward maintain the experience of themselves as energy within and as their manifested-singularities: both the Adam/Male and Eve/Female ‘Experience’ of Equality as the interpretation of and as the ‘positive-energy experience’, (which was simply actually the movement/ripples/reverberations of all their molecules into infinity manifested within the One Aura/Presence that encompassed/surrounded them) - started lessening/diminishing. Their presence/aura molecules into infinity started lessening/diminishing from within infinity, because they were no longer being ‘automatically replaced’ by new molecules that would manifest when/as the Adam/Male and Eve/Female singularities continue ‘physically moving forward and into’ the substance of existence and their beingness. Where the molecules would ‘replace’ within infinity – within the singularities’ movement forward and inward, continuing to maintain their energy-existence frequency/vibration through consuming substance to transform into energy – which would continue manifesting the resonance/reverberation/ripples/movements of and as the positive, neutral and negative-energy manifestations within their manifested-singularities, with the resonances/reverberation/ripples/movements and the velocity/extent of the friction/conflict based on the speed/pace of the Singularities’ movement forward and inward into existence/substance and their beingness/substance – that would determine the ‘reach’/vibration/frequency of their presence/aura molecules into infinity. Thus, with the manifested-singularities no more producing the extent/velocity of the friction/conflict into/towards existence and their beingness of substance, to consume substance to transform into energy to maintain their vibration/frequency as energy, and so maintain the reach of their aura/presence into infinity: their negative, neutral and positive-energy experience within themselves lessened/diminished, and so also the reach of their aura/presence into infinity. This lessening/diminishing of the reach of their molecules into infinity manifested – because their molecules into infinity started lessening/diminishing within the energy within themselves, because due to the minute/small size of their manifestations/form, would at a rapid pace/speed – much faster than the manifested-singularities themselves: consume substance from within their minute molecule-manifestations/forms to transform into energy until no more substance remain within their minute molecule-manifestations/forms, and so – would consume their own substance as energy, until they cease to exist within existence. As energy can only exist with substance, if substance cease to exist as the amount/opportunity of life/substance that exist within and as the molecules used/abused for its own survival as energy = energy cease to exist; though – if energy would cease to exist in stopping the relationship of consuming substance to transform into energy: substance would remain. (We will in later blogs to continue, expand on this relationship between energy and substance, the mind and the physical body, the world-system of money and this physical existence) Thus, while and as the Adam/Male and Eve/Female singularities friction/conflict relationship to/towards existence as substance and their beingness as substance diminished/lessened as they were no longer moving forward and inward within existence to maintain their frequency/vibration of energy within and as them: so did the reach of their aura/presence molecules into infinity diminished/lessened – that were not being replaced by new molecules into equal reaches into infinity; and thus the molecules within the far reaches into infinity ceased to exist, and this caused the equal ‘positive energy experience’-interpretation of the Adam/Male and Eve/Female singularities to start diminishing/lessening. Thus – the Adam/Male and Eve/Female singularities, firstly became aware of the change/difference within that one location/position within existence from within and as the equal positive-energy experience interpretation that started diminishing/lessening, because the equal positive-energy experience interpretation started diminishing/lessening, as their aura/presence molecules into infinity started diminishing/lessening in their reaches into infinity, which so diminished/lessened the Eve/Female and Adam/Male aura/presence manifestation. And so from the aura/presence manifestation diminishing/lessening, moved the Adam/Male and Eve/Female singularities awareness into and as their manifested singularities’ positive-energy experience that started diminishing/lessening, into the neutral and eventually into the negative. In this, I forgive myself that I haven’t accepted and allowed myself, to in and as equality and oneness with and as substance and energy, from and in the beginning – remember, see, realise and understand how: With the Adam/Male and Eve/Female singularities merging/condensing, that their awareness of themselves separated further from within their own real positive-energy experience / neutral energy experience of the Eve/Female and Adam/Male singularity within themselves, to their ‘Equality’ positive-energy experience interpretation as the condensing/merging of their Aura/Presence molecules into infinity within and as the one location/position within existence that manifested the interpretation of the unified infinity ripples/reverberations/resonance of the molecules into infinity as a ‘positive-energy experience’. In and as this accepted and allowed separation of their awareness into and as the interpreted ‘positive-energy experience’, externally - which in fact manifested from and of their external existence: is why/how they initially first became aware of the lessening/diminishing of the external experience of the interpretation of the positive-energy experience equality. When in fact, their energy-experiences / ‘real’ energy experiences within and as their positive, to the neutral and the negative was simultaneously lessening/diminishing internally as the external molecules into infinity started lessening/diminishing. But, because both their awarenesses was equally separated into and as the external interpreted experience of the positive, their ‘awareness’ of themselves returned to themselves within themselves in layers of and as the separation they had accepted and allowed from within themselves. And so the awareness of the diminishing/lessening of the external interpreted positive-energy experience started first, then to within themselves as their manifested-singularities’ neutral and positive-energy experience of the Adam/Male and Eve/Female singularities; to eventually the negative-energy experience; where from the negative-energy experience existent within and as Fear/Fear of Loss – would motivate/instigate movement forward into existent/substance, to reinitiate the process of the consuming of substance from within existence and from within their beingness. However, I forgive myself that I haven’t accepted and allowed myself, to in and as equality and oneness with and as energy and substance, from and in the beginning – remember, see, realise and understand, how – as and while the Adam/Male and Eve/Female singularities were becoming aware of the lessening/diminishing of their external, separate, interpreted ‘positive-energy experience equality’ – the Adam/Male and Eve/Female singularities individually manifested their existence towards each other within and as Blame, as spite, excuse and justification within the context of interpreting/perceiving that the other was to Blame for their diminished/lessened experience of and as the positive-energy experience. Because, it was within both continued merging/closeness/condensing that, initially the equality of the interpreted positive-energy experience was experienced, and now the diminishing/lessening of the external positive-energy experience was being experienced within their continued merging/closeness/condensing. In this, neither singularities realised, seen or understood the actual cause/source/origin of and as their diminished/lessened experiences externally and then eventually internally, due to and because of the separation from their own energy experience awareness’s from the Devil, to the Adam/Male and Eve/Female and God/Energy-Authority into and as the infinity of their molecules – and thus, instead Blamed, within and as spite, excuse and justification – each-other for their eventually diminishing/lessening into and as the negative-energy experience. I commit myself to show – how and why, we’re each individually within ourselves within our own relationship with our own Mind Consciousness System in and as our own Physical-Body: responsible for the experiences as reactions of energies as emotions and feelings of the negative, neutral and positive; and so equally as one responsible for every thought, internal conversation, personality, habit and pattern that is existent within and as our Minds that has become who we are and how/what we live. That – as long as we exist as the Mind; and have not walked our process into and as physical equality and oneness and the living responsibility to ourselves and all as ourselves: we are not in fact ever ‘experiencing’ anything/anyone else but our own Minds within and as the layers of separation that the Mind consist of and exist as, as the Conscious, Subconscious and Unconscious Mind, where we’re experiencing only our own energy-existence within and as the Mind, within and as our manifested-singularities as the Human Physical Body – equally as one as how it was from the beginning, as the Adam/Male and Eve/Female in fact only experiencing their own Energy-awareness of themselves, WITHIN themselves – and was not in fact experiencing each other. 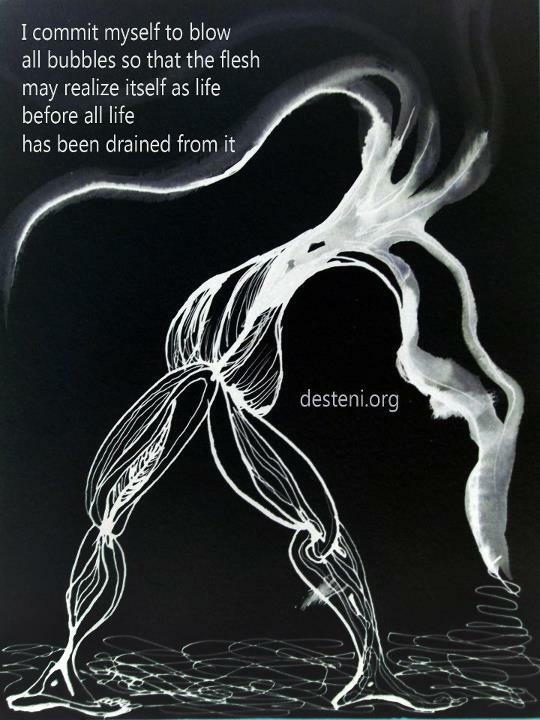 I commit myself to show – how and why, the acceptance and allowance of Blaming others for one’s own Internal Energy-Experiences of and as the Mind, is a deliberate act of projection to not take responsibility for what self has created within and as space and time, in and as accepted and allowed participation in the Mind of and as Energy and Experience. But has become easier/convenient for one to Blame others, than take direct-responsibility for one’s own creation of energy and experience within one’s own Mind, and that blaming others for one’s internal experience and existence as the Mind, is a deliberate act of deliberately not wanting to change self or face the self-honesty of self’s existence as the Mind and the evils that loom/lurk in the secret internal conversations/backchats of and as Subconscious-Mind. And thus, that individuals that blame others for their Mind and internal energy-experiences – in fact exist in and as the most Fear of others ever seeing/realising/understanding their true/real evil nature of and as the secrets within and as their Mind; and so would place the emphasis/blame/limelight onto/towards others: when self is in fact the cause/source/origin of self within one’s own Mind. Because, it has only been SELF, existing within one’s OWN MIND and OWN PHYSICAL BODY, any being that self is blaming for who self is or what/how self live regarding the internal experiences of energies – was not at any moment/breath physically/mentally involved within the processes of and as one’s Mind and Physical Body and thus: it has always in all ways only been self, and self alone within and as the existence and depths of self, self’s Mind and Physical Body that has entirely and completely created/manifested/designed and programmed self within self. I commit myself, to – through writing, self-forgiveness and self-corrective application – assist and support me in identifying the accepted and allowed relationships of Blame, as I see/realise/understand that Blame is in fact me not wanting to take responsibility for me as the Mind and Experience, but instead Blame ‘who I am and how I am’ as the Mind and Experience onto/towards other, thinking/believing that if I Blame me into and as THEM/THEY: I don’t have to face/see/expose the reality of me as my relationship to my Mind and the secrets I accept and allow to haunt it. In this, I commit myself to thus – stand within responsibility, courage and self-honesty – to identify what it is I Blame others for, reflect it back to myself through writing in seeing, where and how and why I in fact do, accept and allow within me – exactly what it is that I am accepting and allowing myself to Blame others for. And in this, apply and walk my self-forgiveness, to take responsibility for that point and part of me, to no more exist in Blame relationship towards others, but exist in equality and oneness with me, and so walk my process of self corrective application in not again accepting and allowing myself to Blame that point/part of me into and as another of and as me. As I see/realise/understand that in Blaming another – I am in fact only spiting myself, as I am the one keeping me in and as the enslavement, limitation of and as my own Mind, keeping me in and as separation from me within myself, and so with stopping Blame, I stop spiting me and so manifest the window of opportunity to assist and support me in and as my process of and as equality and oneness. Thank you - this was a challenging post to read and understand. "In this, neither singularities realised, seen or understood the actual cause/source/origin of and as their diminished/lessened experiences externally and then eventually internally, due to and because of the separation from their own energy experience awareness’s from the Devil, to the Adam/Male and Eve/Female and God/Energy-Authority into and as the infinity of their molecules – and thus, instead Blamed, within and as spite, excuse and justification – each-other for their eventually diminishing/lessening into and as the negative-energy experience." And this is the remembrance of being expelled from paradise, as the separation from 'god' as positive experience. Thank you for writing out this, it is rather frightening to the extent that we have consumed ourselves within the desire to experience the positive.